What will be your Alaskan Experience? We challenge you to not just enjoy a classic Alaskan fishing adventure, but to set aside your evenings for dining on a portion of your fresh catch along with an Alaskan craft beer. Consider connecting with our wilderness whether it is hiking or kayaking. 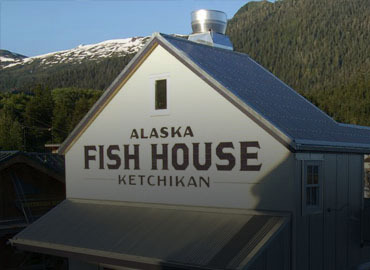 Our happiest clients embrace all that Ketchikan has to offer. Learn Alaska fishing techniques, Alaska sport fishing explained, choose an Alaskan guide, discover how best to cook your catch, and craft the perfect fishing vacation. Meet the commercial fisherman of Ketchikan, learn the tricks of caring for your catch, identify fish species, and share our passion for cooking your catch. Choose a hiking trail, learn about Alaskan craft beers, or kayak in wilderness fjords. 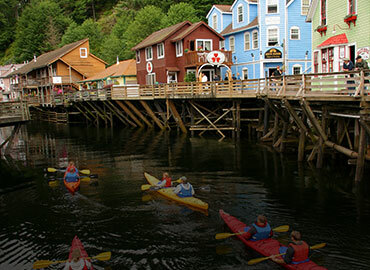 Join our happiest clients in embracing the unique culture of Ketchikan. 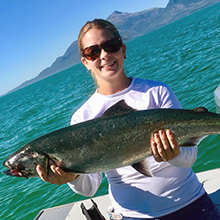 Thanks for considering Baranof for your fishing adventure! For an adventure of a lifetime, travelers from all over the world choose fishing in Ketchikan, Alaska. With its remarkable landscapes, unique wildlife, and bountiful fishing locations, we have yet to meet adventurers who leave Alaska without lasting memories. 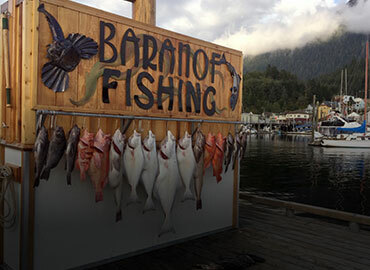 Baranof Fishing Excursions specializes in melding our unique, traditional Alaskan dining with world-class fishing.  For the last 17 years, our Cook Your Catch program has provided families, couples, and solo fishermen with 5-star meals featuring the fish they catch themselves either in a private dining setting, their own homes, or at our wilderness campsite. Sport fishing in Ketchikan has been a staple of our economy for generations; when our guests’ halibut or salmon fishing trip culminates in a gourmet meal that they put on the table, the end-result is something truly remarkable. For guests with a limited time in town, or simply wishing to share their catch with family back home, Baranof provides a number of excellent dining-free options. Our 5-6 hour Hunting for Halibut excursion focuses on the largest flatfish in the world, while our Stalking Salmon fishing charters play to Ketchikan’s title of “Salmon Capital of the World”. We pride ourselves on offering compatible pairings with other clients who have like-minded fishing goals, so those traveling alone or in small groups can expect to have their expectations met without chartering an entire boat. The protected waters surrounding Ketchikan offer an enormous amount of opportunity for groups or individuals seeking an exclusive, tailor-made Southeast Alaskan experience. 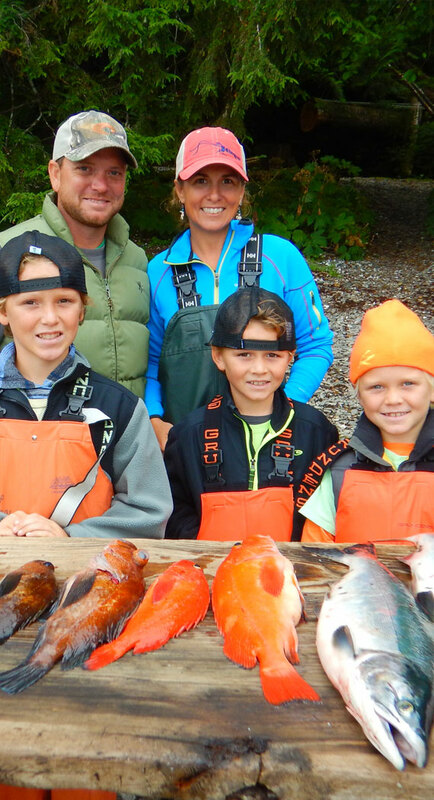 While most choose to incorporate fishing into their day on the water, with many opting for a private dining experience at the end, the point we stress to our private charter guests is this; it’s your family, it’s your boat, and it’s your story to tell. Whether you’d like to explore a remote beach or enjoy a personalized sightseeing trip to the Misty Fjords National monument, we enjoy raising your expectations as we plan a private charter with you – then exceeding them.